Social Mediation in Practice is a project for communities and professionals. This project is funded by the Seed Corn Fund of the Institute of Citizenship, Society and Change. Provide capacity building for professionals and stakeholders on social mediation as a tool for preventing and tackling community conflicts. Pilot social mediation in Cyprus and the UK. This website is an open acess platform with resources and material on anyone who wants to learn about social mediation. 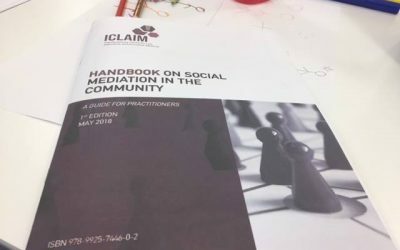 Material includes the digital version of the handbook for professionals on social mediation developed by the Interdisciplinary Centre for Law, Alternative and Innovative Methods (ICLAIM).